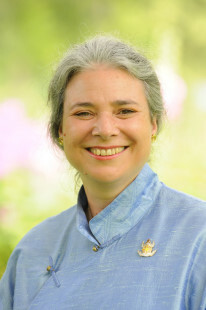 Acharya Eve Rosenthal will be assisting Sakyong Mipham Rinpoche March 2nd-4th in Northern California to teach the Rigden Weekend. Recently, she shared some thoughts on the history of the program and its importance. Article by Stephen Schurkey. 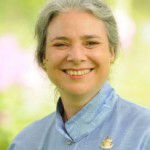 For a long time, Shambhala Training Levels I through 5 were the basic path, and people who felt more connected could go further and do the Sacred Path program and receive the root texts of Shambhala. There were many requests about having something in between the weekends that could help people integrate those teachings more, and also to create some kind of community of practitioners. This resulted in a series of classes being created several years ago — Meditation in Everyday Life, Contentment in Everyday Life, Joy in Everyday Life, Fearlessness in Everyday Life, and Wisdom in Everyday Life — which interact progressively with weekend Shambhala Training programs. The Sakyong worked closely with Acharya Adam Lobel and others to come up with the key points that he wanted people to study. This included studying the dignities and some of the basic core principles of Shambhala sooner, in order to have a better sense of what the Shambhala Path is as well as more preparation before receiving some of the root texts. Acharya Rosenthal summarized the Rigden Weekend as “the capstone” of the Way of Shambhala I series, “where the core principle of unconditional confidence is discussed, practices are given so that we can rouse that confidence on the spot and realize all the teachings we’ve been given. “The Sakyong was born in a refugee situation in India,” she continued, “is a mix of East and West, and knows the best and worst of both worlds. “They’ve both done very deep meditation and contemplation, and came to the conclusion that yes, this is possible, and really became interested in talking about this. That’s not the prevailing world view: that people are basically good and that enlightened society is possible, and can actually manifest. Acharya Rosenthal also noted that the Sakyong has “spent a lot of time teaching beginning students in the Sangha retreats, and also the most sublime teachings of the Shambhala terma cycle. Now, he’s interested in teaching students who have some training in a sort of middle ground. He wants to meet people who have entered and are at that stage. He gets a lot of requests and he chose this one. 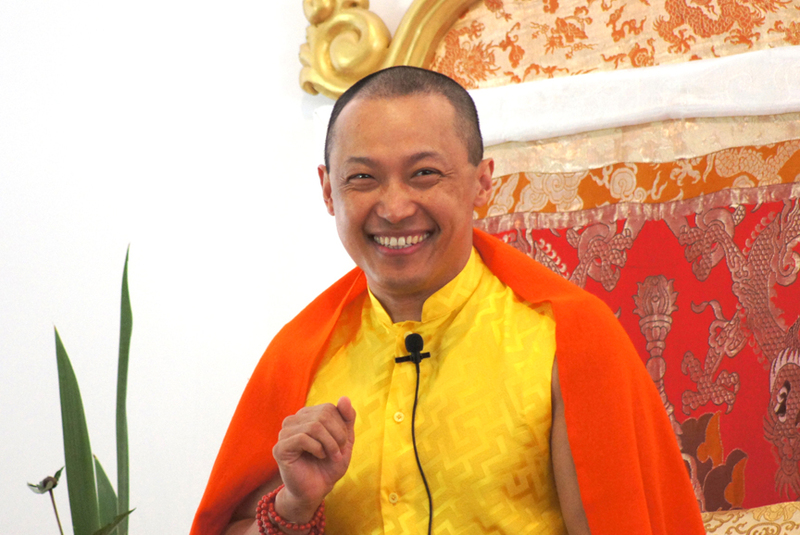 “For the students that are going through the Way of Shambhala, this is a precious opportunity, even if they’ve done the Rigden program before. The Friday evening talk will he held at the majestic Grace Cathedral in San Francisco on March 2nd. It is the first part of the Rigden Weekend, but is also open to the public. The Rigden Weekend will continue Saturday and Sunday, March 3rd and 4th, at spacious Craneway Pavilion in nearby Richmond, CA. Complete information on the program, pre-requisites, work study opportunities, and registration are available on the Northern California Shambhala website at: norcal.shambhala.org. The NCS region would like to welcome those who are traveling to attend this program. Information on housing, transportation, welcome reception, and hospitality is also available at norcal.shambhala.org. I am new to the path and I joined a center in Lexington, Kentucky. Im so confused about how this works. Is there a central office I can call with teachers? Counselors? I’ve taken level 1 but months have passed with no level 2 offered. How can I speed up this process? Yes, sometimes you may have to look for closeby centers to take the Shambhala training Program in sequence (and more quickly!) if you don’t live close to a larger Shambhala Center.